Maybe it’s due to all my bread fails in the past, but when I crack open the oven door and peak in at my golden loaf, I feel giddy. In the past, I avoided bread out of intimidation, but after binge watching episodes of The Great British Bakeoff I was encouraged to roll up my sleeves and give it another try. 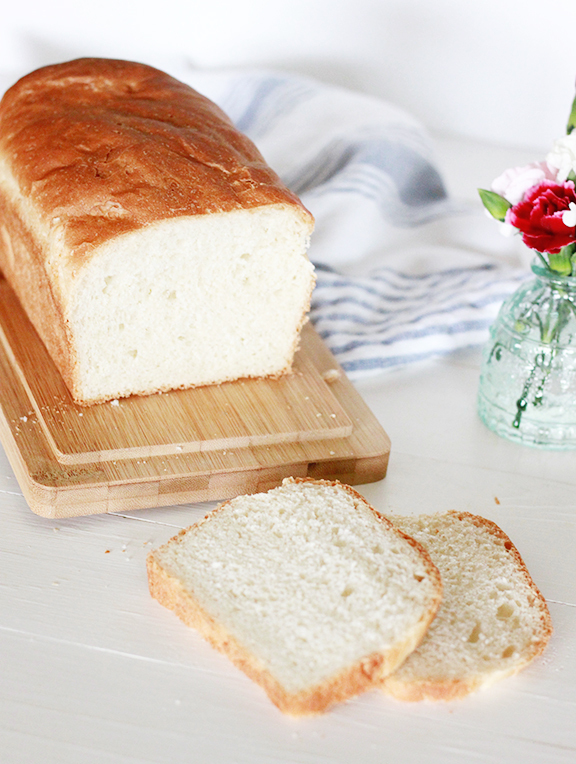 While other recipes can seem daunting, this simple white loaf is easy to follow and perfect for those who are new to baking bread! 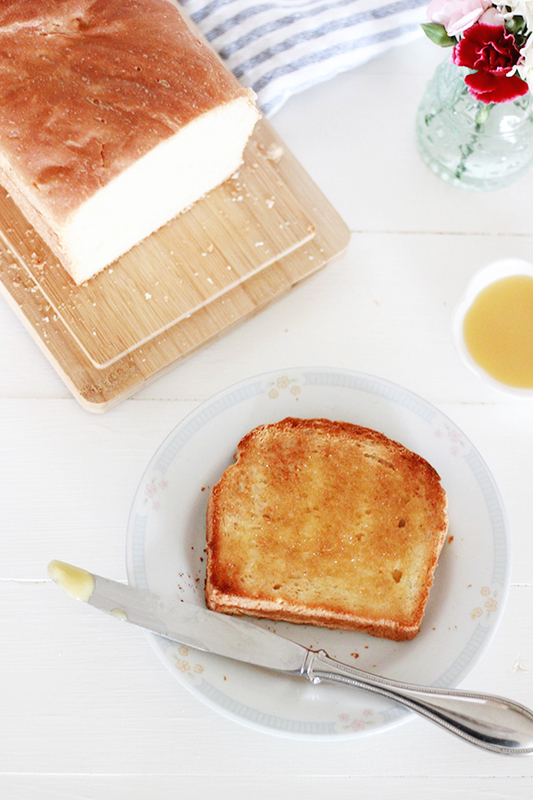 After a bit of patience, you will have a warm loaf of bread ready to be topped with honey butter and savored. Looking for something a little sweeter? 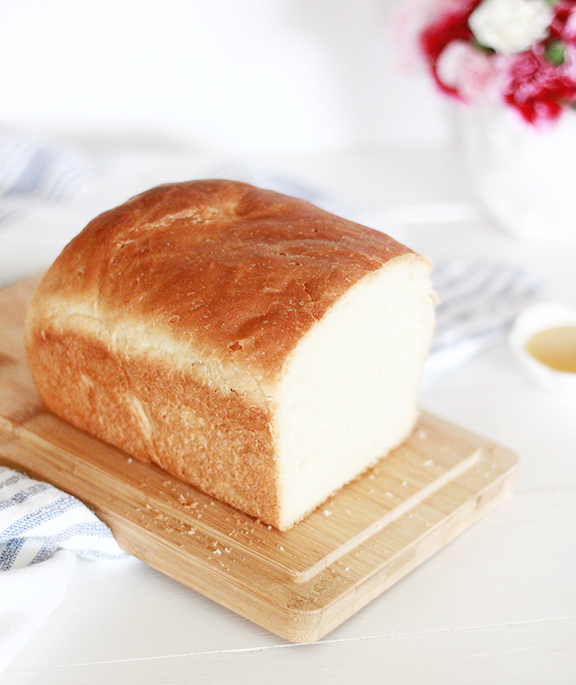 This basic bread recipe can be used to make cinnamon rolls! Combine the dry ingredients together in a large bowl, then slowly incorporate the water, oil and yeast mixture. Stir until well combined.